Find the best lighting for your bathroom with this brief guide. 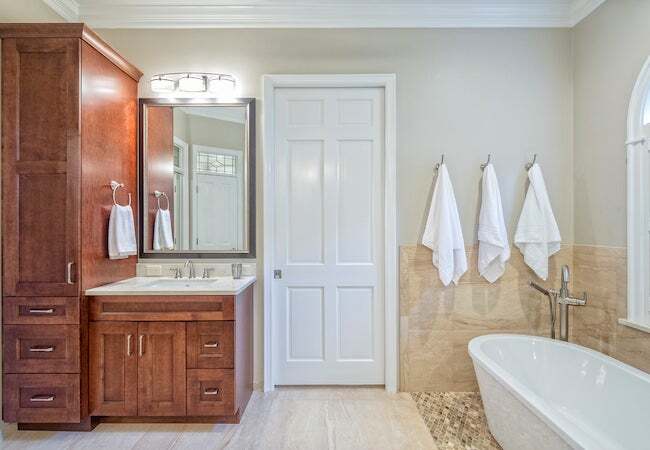 Light fixtures play one of three roles in a bathroom— ambient, task, or accent lighting—and the best lighting schemes incorporate a mix of all three to keep the entire room well-lit. Soft ambient lighting, usually from a recessed or flush-mount fixture, acts as the main source of illumination in a bathroom. Task lighting like a pair of wall sconces will direct the brightest illumination to a small area to help you perform for detail-oriented tasks like applying makeup or shaving. Finally, accent lighting features architectural details or showpieces.